NetDocuments, the leading cloud-based content management platform for law firms and corporate legal and compliance departments, announced today that Vancouver-based Harper Grey, one of the leading regional law firms in Western Canada, has selected NetDocuments as a foundation for the firm’s transformation to a more agile and innovative delivery of legal services. The firm chose the secure, localized, cloud-based NetDocuments platform including its ndMail predictive email solution after extensive competitive review and evaluation of other legal document management providers. The addition of Harper Grey underscores NetDocuments’ momentum in Canada. The NetDocuments multi-tenanted platform offers a single global instance of software to all NetDocuments customers and enables Harper Grey to offer a future-focused, content management solution leveraging non-disruptive technology upgrades across the platform globally. “We are harnessing the cloud-based SaaS model to achieve data redundancy and ‘always on’ access to our critical services,” noted Dharam Dheensaw, Chief Information Officer, Harper Grey. 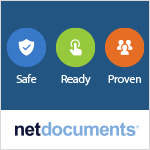 “We truly embraced NetDocuments as a business partner throughout the selection process and are pleased to join the NetDocuments family while looking forward to evolving and operating at the leading-edge of innovation. This highly sophisticated and advanced cloud technology fosters a transparent client experience through enhanced collaboration tools and a flexible and intuitive end user experience. 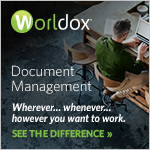 The transition to NetDocuments not only improves our internal document and filing efficiencies, but also enables the firm to move from a static document repository, to a dynamic, feature-rich knowledge management solution that enables us to work more efficiently, and deliver first-rate legal services to our clients,” commented Dheensaw. Beyond market leading security and collaboration features, the firm’s decision to choose the NetDocuments cloud platform was further validated by strong integrations with Harper Grey’s existing core systems, creating a holistic synergy involving AI-based automation and workflows.